New York City finally has a Walmart. Walmart-owned Jet.com is presently getting some quality one-on-one time with shoppers at STORY, a stylish concept store at 10th Avenue and 19th Street in the heart of New York City. Jet.com is being featured in the boutique’s “Fresh Story”—an ode to food, cooking, and all things fresh. 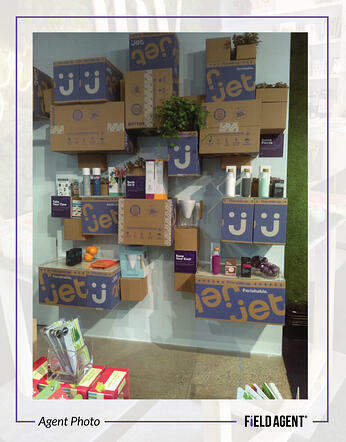 At STORY, New Yorkers can learn about Jet Fresh—Walmart’s new fresh-grocery delivery service—while exploring a series of decorative displays and exhibits, some featuring Jet.com merchandise and branding. With a purchase of one or more items, shoppers can even take home Jet-branded produce. Together, Jet.com and Jet Fresh are offering New Yorkers first-time access to a fuller slate of Walmart groceries at Walmart prices—minus the “big box” stores. But the pressing question is: What do New Yorkers think about Jet.com and its appearance at STORY? 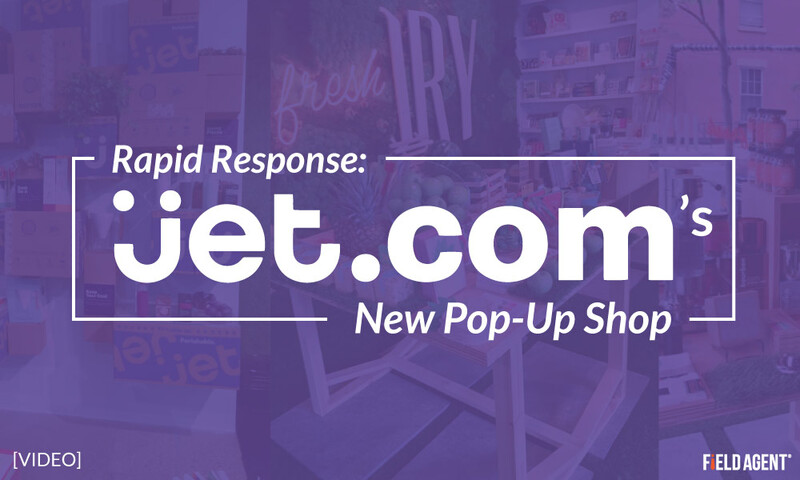 What Do Shoppers Think about the Jet.com Pop-Up? Note: All nine mystery shoppers were instructed to make a purchase and obtain a piece of Jet Fresh produce, which Field Agent verified by requiring agents to submit photos of their merchandise and receipts. Below we offer a video glimpse from the mystery shop, complete with audio testimonials. Even further down we provide the complete results from the study. In addition to photo and video requests, Field Agent also asked mystery shoppers to share their thoughts and attitudes about Jet.com’s first brick-and-mortar venture. Here are the full results for you to view, download, and share. See Also: What do shoppers think about Walmart's next generation C-Store? But the question remains: Will New York embrace Jet.com and Jet Fresh? Many—including Amazon—will be eager to find out. Walmart is currently testing its new “Scan & Go” system in three different cities. 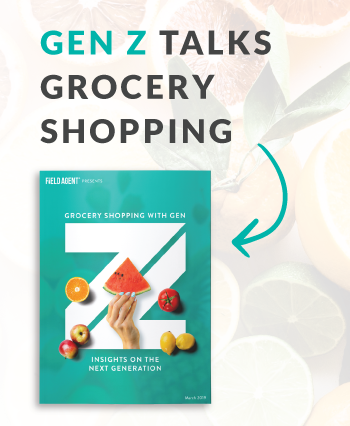 To understand the potential of this service, Field Agent recruited 36 shoppers to download the Scan & Go app, shop for and purchase at least three grocery items, and then share their thoughts about the experience. Download the report, “Scanning the Future,” to see shoppers' attitudes toward the new technology.